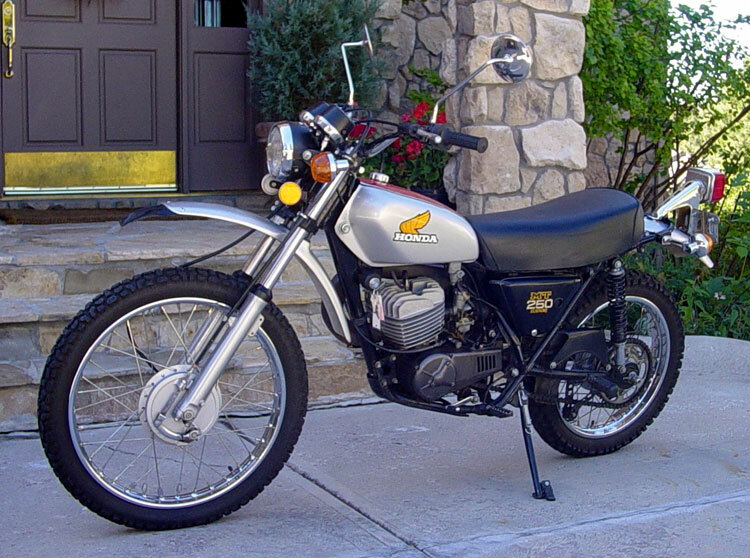 This is my 1975 MT250 Elsinore. The bike has only 4,900 miles on it but that's because I just purchased it (I plan to ride it a lot). I am the fourth owner of the bike but as you can see, those that owned it before me were really good to the bike. The bike is in near-mint condition, and as far as I can tell, is complete and "as new", except for aftermarket rear rider pegs. The bike "runs like a top" and everything on the bike works perfectly. The owners manual and tool kit are still under the seat! As a kid living on Guam, I used to race a CR125M (just after they were introduced) so this MT brings back a lot of great memories for me. Now I get to re-live my childhood!